The children from Herons and Swans travelled to the Quayside Leisure Centre today to take part in the Gym and Dance Festival organised by KCC. Primary schools from the Kingsbridge Learning Community were all invited to take part in this event, which not only involved performing but also enabled children and staff from all of the schools to see the various dance and gym projects that they had each been working on come to life. Children in Years 2 to 6 have been working very hard for several weeks to perfect their routines under Mr Hilling's guidance and with the help and support from KCC PE staff and from our wonderful student teachers, Miss Naylor and Miss Bullock. 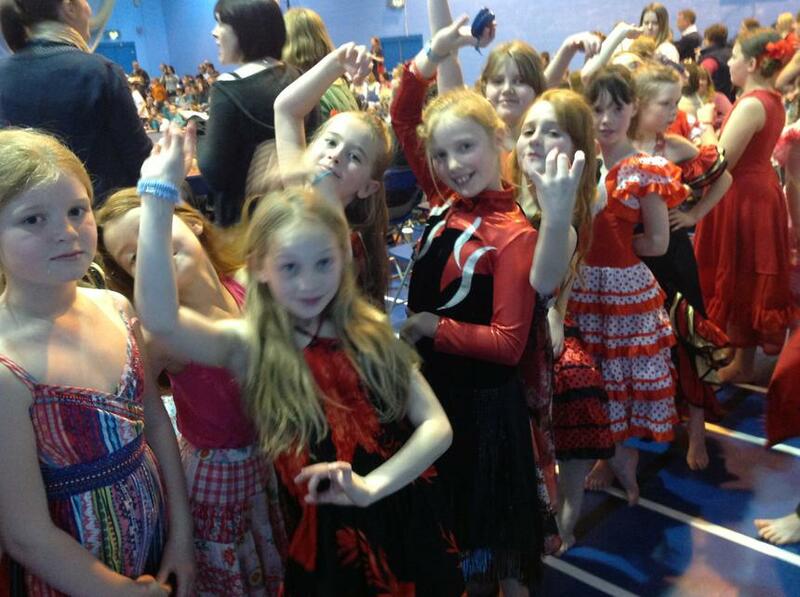 Our Year 2 and 3 children from Herons danced first, performing their 'Heroes & Villains' piece. 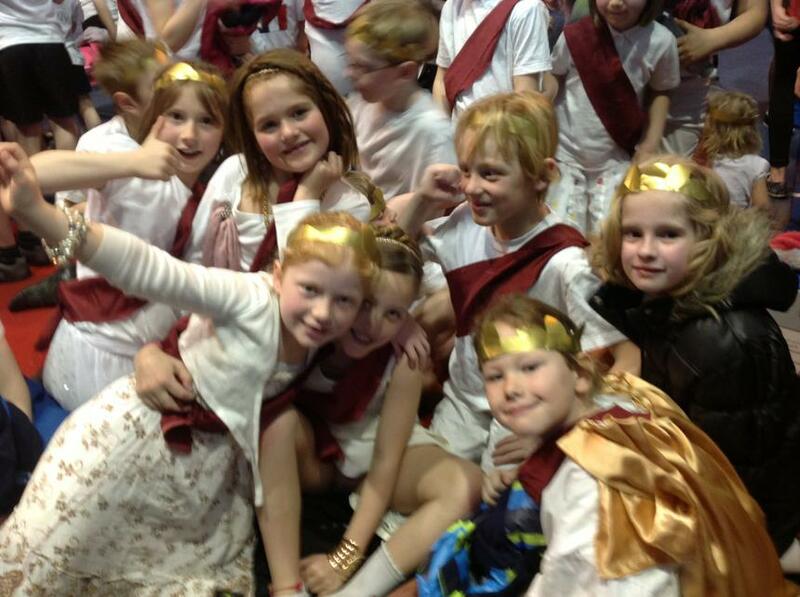 They had arrived in school earlier in the morning dressed in an array of beautiful 'Ancient Greek' costumes, which Miss Amos embellished with scarlet sashes and golden head-dresses. 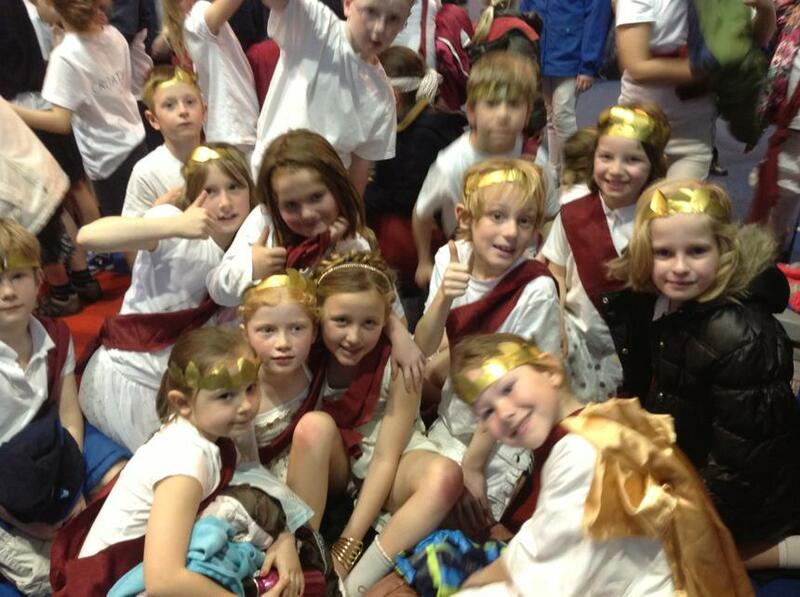 The children all danced enthusiastically, having worked extremely hard to learn their moves and obviously enjoyed every minute of their performance, as did the audience! 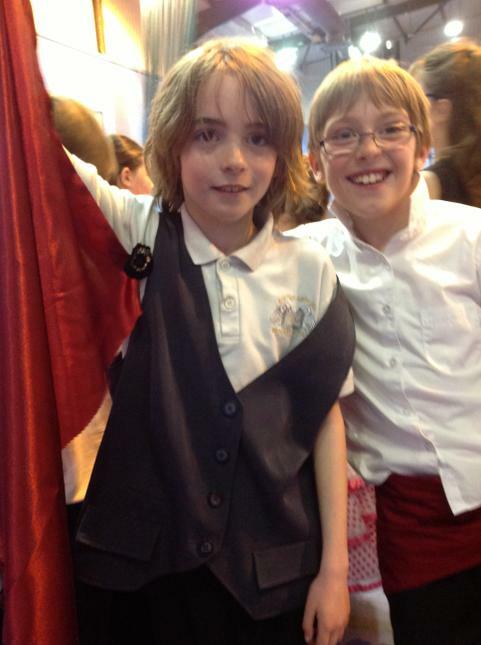 Years 4 , 5 and 6 from Aveton Gifford were the last primary school to perform and appeared totally unperturbed by their long wait. 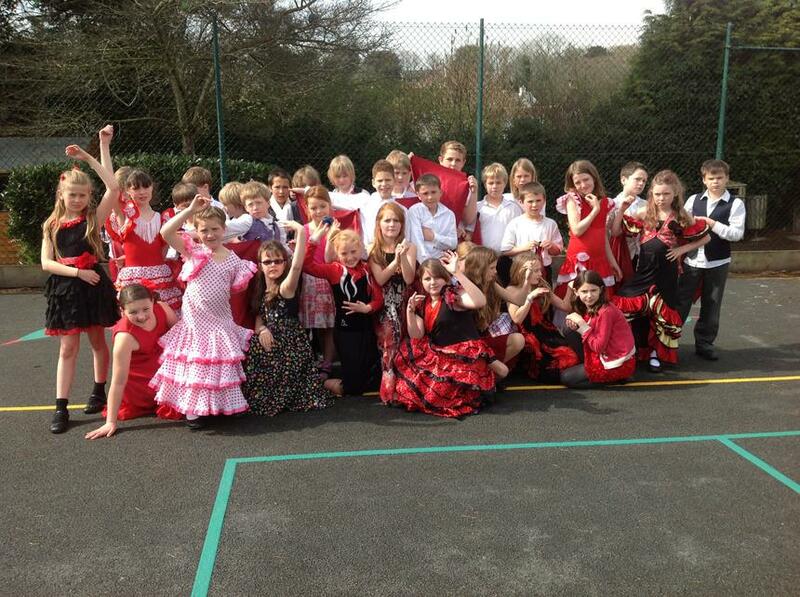 They danced an amazing and emotive 'Flamenco', receiving possibly the loudest round of applause of the morning once they had finished. A very big 'Well done' to everyone who took part and a BIG thank you to Mr Hilling for all of his hard work and to all of our parents and carers for their help with the costumes.